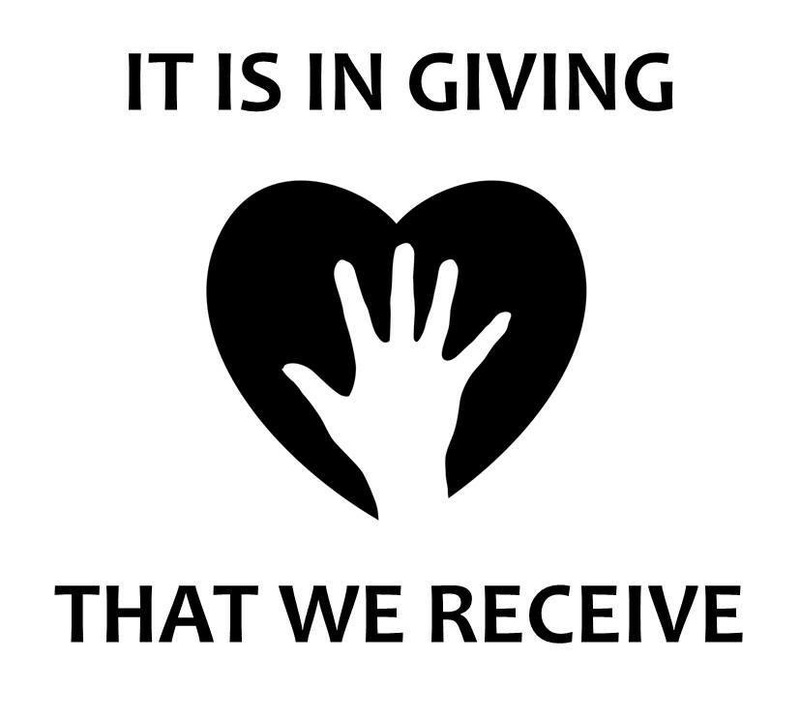 GIVING AND RECEIVING simple wisdoms to share: when we can feel that GIVING to another will help their purpose in life, this is giving that helps fulfill and support them. When we give to another in a way that primarily helps us feel better about ourself, this is taking from them and not giving. These 3 steps help giving: Listen, Love, Offer. When we RECEIVE openly and humbly what is offered to us, we honor both ourself and the giver. Receiving is completing a circle that creates more abundance for everyone. These 3 steps help receiving : Pause, Accept, Be Thankful. The intention behind a gift given and received is more important than the gift itself. Having compassion for ourself and others begins with understanding needs at a deeper level whether we are the giver or receiver.